There is already the seamoth so your sub idea may be obsolete... However if you have any more ideas feel free to post them on my discussion titled "Tools and Vehicles of Subnautica" (or vice versa, can't remember atm. Derp). This idea is straight out of Irwin Allen's 'Voyage To The Bottom Of The Sea'. 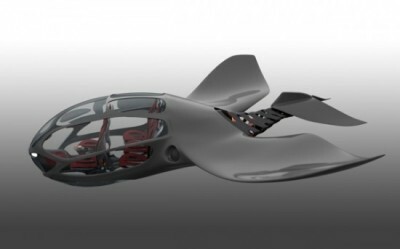 A flying submarine would be an ideal vehicle for aerial reconnaissance of undersea terrain. Currently, exploration involves plodding through the ocean in a Cyclops, each sweep covering a very narrow corridor of visibility. The Seamoth is more useful for covering large distances, although without an accurate and meaningful navigation waypoint system, this can be a very frustrating exercise. At the moment, I have marked out the four cardinal points of the compass, plus a few beacons assigned to interesting locations. The extreme N,S,E,W points also mark where the temperature drops to 0.0 degrees. (That's a pretty serious thermocline you've got there). Even so, the number of beacons flashing away is visually chaotic, and doesn't actually provide that much useful information. A HUD 'pipper' showing the distance to each beacon would be a HUGE improvement to gameplay. Back to the Flying Sub. Let's call it a 'Manta', out of respect for an extinct sea critter that used to live on Earth-That-Was. The Manta is a larger, flight-capable version of the Seamoth. It also has a built-in defensive weapon (Stasis Rifles) a standard cargo locker and an automated mapping system. Ideally, the Manta could also be capable of dropping sonar buoys and beacon markers from a 'bomb bay' while hovering. The Manta would require a special landing-pad and a recharging station, as it would be too large to dock with the Cyclops, unless a dorsal (top-mounted) docking collar could be retro-fitted to the Cyclops. Update: It has been suggested that the Manta could be presented as either an evolution of the Seamoth design, or an additional component that could be crafted with the Constructor platform. In this case, the player would need to craft a separate flight module that the Seamoth can dock with as required, and be able to park the flight module on either the Cyclops or a docking platform installed on an undersea base. If you're living inside a relatively fragile tin can, it's probably a good idea to have advance warning of any large sealife that may be wandering too close to your installation(s). To this purpose, I suggest laying a perimeter of sonar buoys that will identify any large or potentially hostile lifeforms so that an appropriate course of action may be taken. The buoys could be either built on-site with the hand-held Constructor tool, or built onboard the Cyclops and loaded into the Manta's storage locker for later deployment. Sooner or later, the Survivor will encounter some of Subnautica's heavy hitters... However, the heavily-armoured Mako's primary function should be to incapacitate and/or repel rather than kill, otherwise the surrounding ocean would be turned into a lifeless, bloody chum-bucket in the twinkling of a Peeper's eye. The Mako cannot dock with the Cyclops, requiring a dedicated landing pad and recharge station, powered by a separate generator. Internally, the Mako would have a similar sensor suite to the Manta flying sub, as well as an onboard storage locker. To make gameplay a little more balanced, the Mako and Manta subs should be extremely expensive and complex to build. Suggested operational depth rating for Manta and Mako: 1000 metres. Crush depth: 1500 metres. An advanced version of the JIM ADS concept suitable (no pun intended) for Subnautica would need a set of manoeuvring thrusters to provide freedom of movement in vertical and horizontal axes, a selection of tools and a defensive weapon (such as a Stasis Rifle) incorporated in the suit's arms. Air should not be a limiting factor with an ADS, although I feel that power supplied by 2x rechargeable power cells would be sufficient to provide a One Hour (real time) bottom time at the game world's deepest location. The ADS should be capable of recharging aboard the Cyclops or an undersea base. I believe some kind of Storage Shuttle with some type of harvesting arm (or arms) with at least one lockers worth of storage space, so i can finally start carrying 4 oxygen tanks without having to worry about being short on inventory space. This or UP-GRADABLE SEA-MOTH! i personally love the idea of collecting materials to make your sea-moth not only look different but function different as well, like 5 titanium adds a 5x5 storage block (add up too 4) and arms for collecting without leaving submersible, OH! don't forget some kind of short range stun weapon for stalkers and bone-sharks (not lethal, but causes them to flee for a decent period of time) also the cyclops needs to be able to go deeper than the measly 100 meters... i mean cmon that thing is suppose to be from the future. Sea-moth as well should limit out at like 800 meters without upgrades (small size adds depth capability without need for strong reinforcement) while the cyclops can manage around 450 (without upgrades). now i know these depths don't hold anything at the moment, but eventually they should with the whole biome and terrain revamps coming. 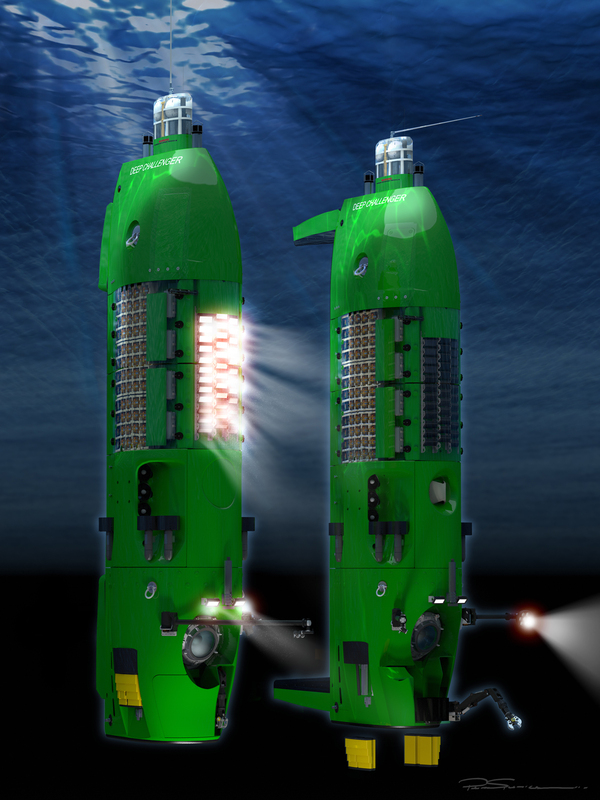 hopefully we can see something like these machines implemented for undersea exploration and gathering... now for the surface, just like the constructors surface only usage, there should be a high-tech dive boat/ship, that has ladders on either side for boarding as well as a depth finder and biome reader (ps this would be an expensive ship) as well as have great lighting and a personal colored or named beacon (also nameable like the cyclops)... i know this was for vehicles only but please also think about adding some type of stun stick: causes very little damage, stuns for 3-15 seconds depending on creature max is bone shark or equivalent (such as sand shark or any future creatures) then after being stunned the creature (if hostile) will flee for ~30 seconds, allowing you to quickly grab that load of quartz being guarded by 3 bone sharks. A Sort of Mini Big sub. It will have a nice observatory and have enough space for a locker or two and a transformer (sorry lost name) And has a mini speeder (smaller than the sea moth) and two docking ports on either side of the vehicle. Vehicle pic down there. 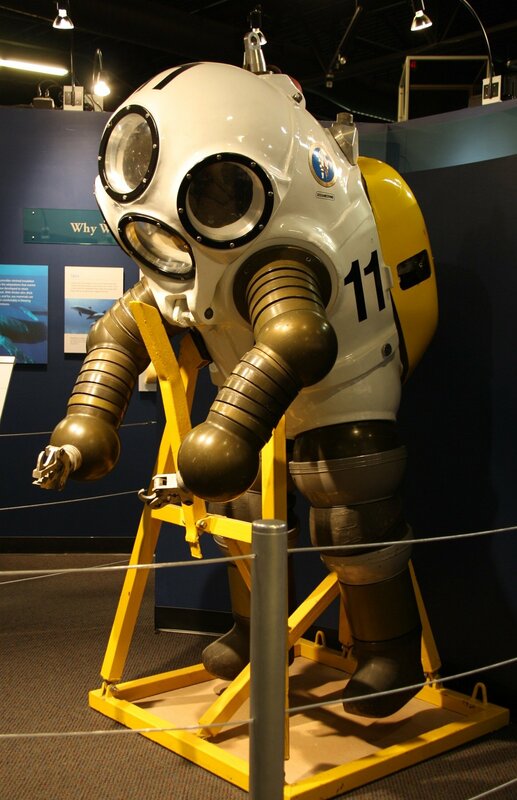 A deep-submergence vehicle in the likes of the deepsea challenger. With a robot arm to collect stuff without having to leave the sub. Maybe as a costly upgrade to the Seamoth. Although it wouldn't fit into the belly of the Cyclops anymore. I would love to see a special skimmer like thing that would switch from above water jet ski that would be 2-3 times fast but can convert into a underwater vesion. I got this idea from the sci-fi book pendragon chronicals: the lost city of faar. it had some of he coolest sounding water planet vehicals. I can't figure out how to remove this comment... hm..
Crab walker. That is all. An Idea is for the Cyclops to have an upgrade system that allows the Cyclops to be upgraded so it can have solar plates so it can recharge at the surface (The upgrade is costly) Or the Cyclops can have a radar ping that locates objects like scrap metal, fish. Last one is that the Cyclops can have emergency air sacks that deploy when the player presses a red button on the control panel (upgrade is costly) Thank you i am new to the forms and i have many ideas to express.